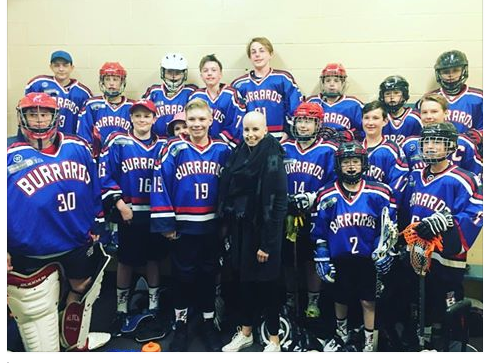 For the Bantam B Burrards, the Hyack Lacrosse Tournament has taken on a new meaning! They are playing for one of their teammates siblings! Each player has a sticker on their jerseys just above their hearts with the hashtag #rollwithit along with her initials. What an amazing group of of 2003 and 2004 kids to be showing their support! We are the Burrards Nation!